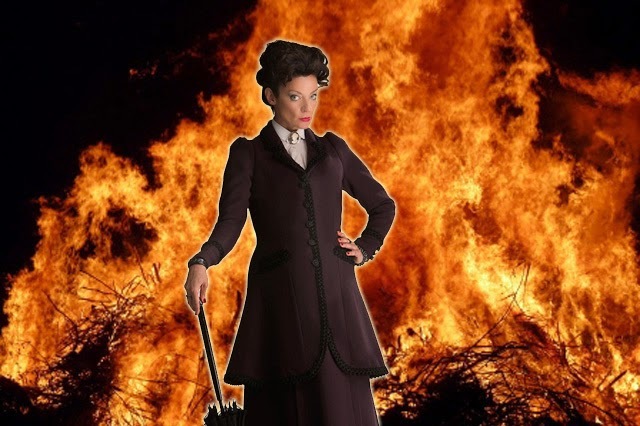 Doctor Who: The Mystery Of THE WITCH'S FAMILIAR | Warped Factor - Words in the Key of Geek. Christopher Morley examines some possibilities for The Witch's Familiar. What a conjuring trick it would be if the conclusion of The Magician's Apprentice found him transported to fifth century England- a bad time to be a witch. Christianity was just beginning to take hold, with paganism rapidly becoming equated to witchcraft. Surely the possibility of the Doctor being elected Witchfinder-General of whichever village/hamlet he may find himself in would be quite something to behold? No prizes for guessing who the witch he's tasked with hunting down after accepting the job, whether by force or purely out of curiosity, might be! She could certainly tick all the boxes in the minds of the superstitious locals - her knowledge/technology beyond even their wildest dreams, and pure cold, calculating evil probably the two biggest. At a push we daresay she could pull off a suitably demonic cackle, too. "...well-versed in witchcraft, who was not ignorant of ancient auguries, a patroness of gluttony and an arbiter of lasciviousness who set no limit to her debauches." In short, a dangerous lady indeed. She could even have spread tales of her ability to reanimate the dead in a roundabout fashion following the events of Dark Water/Death In Heaven. 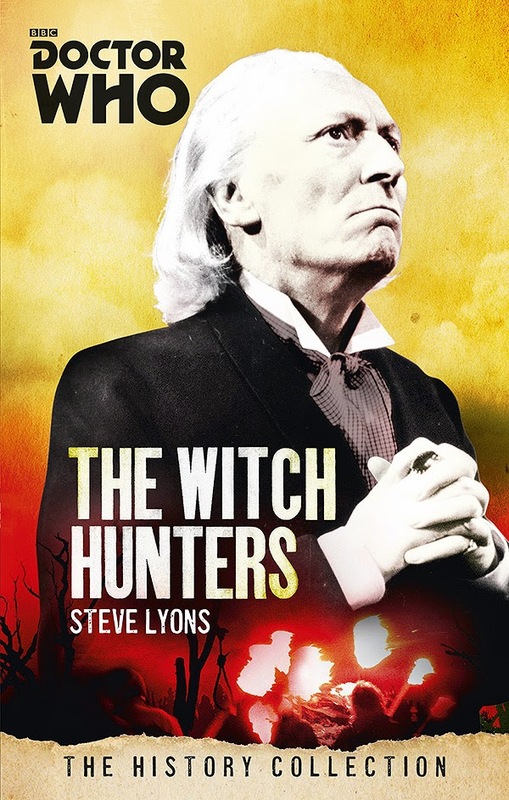 How might the Doctor take to, in a sense, stepping into the shoes of Matthew Hopkins, perhaps the most famous of the witch-hunters, and also the title of a First Doctor novel reprinted just earlier this month as part of the Doctor Who History Collection! Co-incidence? That particular tale takes the Time Lord to Salem, which we'll come to later. First, let's find out a little more about Hopkins. The Doctor, of course, probably knows this already. We, though, shall plough on. "Matthew Hopkins is perhaps the most notorious name in the history of English witchcraft, more commonly he was known as “The Witch-Finder General”. Throughout his reign of terror 1645-1646, Hopkins acquired a feared and evil reputation as a ‘fingerman’ (informer), paid by local authorities to commit perjury. Together with his henchman and fellow ‘Witch-Pricker’ John Sterne, in just 14 months, Hopkins was responsible for the condemnations and executions of some 230 alleged witches, more than all the other witch-hunters that proliferated during the 160-year peak of the country’s witchcraft hysteria." Was he any better than those he demonised? "In March 1644, he had some seven or eight of that horrible sect of Witches living in the Towne where he lived, a Towne in Essex called Manningtree, with diverse other adjacent Witches of other towns, who every six weeks in the night (being always on the Friday night) had their meeting close to his house, and had their solemn sacrifices there offered to the Devil, one of whom this Discoverer heard speaking to her imps and bid them go to another Witch, who was thereupon apprehended." "The said Elizabeth forthwith told this informant and one Master Stearne, there present, if they would stay and do the said Elizabeth no hurt, she would call one of her white imps and play with it on her lap. But this informant told her they would not allow it. And they staying there a while longer, the said Elizabeth confessed she had carnal copulation with the devil six or seven years; and he would appear to her three or four times a week at her bedside, and go to bed with her and lie with her half a night together, in the shape of a proper gentleman, with a laced band, having the whole proportion of a man. And he would say to her, “Bessie, I must lie with thee”. And she never did deny him." The chance to ruthlessly pursue his oldest enemy/equal could prove quite a moral examination for the man with the ''attack eyebrows''. Could he bring himself to punish her for her misdeeds, & what methods might he resort to to see her bang to rights? Imprisonment, perhaps? Of course, if seemingly condemned to death she could find a means to escape- a Masterly speciality if you remember her second incarnation, who somehow found a way back even after being seen to ''die'' throughout the Fifth Doctor's era in particular! How, nobody knows. But the beauty of the moral ambiguity of the Twelfth is that the shoe could so easily be placed on the other foot, the Mistress positioning herself as a pillar of the community & convincing all & sundry that the Doctor is the one practicing the dark arts. After all, reference has been made to him as a magician, & he's traveled with many a familiar/companion down the years! Would it make any difference were the action to shift to the aforementioned darkened corner of Massachusetts? The year is 1692, & we're live at the Witch Trials to paraphrase The Fall! 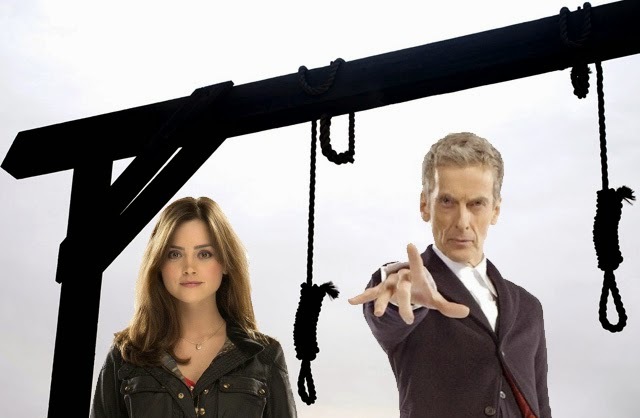 One of those fated to die on suspicion of witchcraft was Rebecca Nurse, who appears as a character in The Witch Hunters- the First Doctor effectively leaving her to her fate in line with his non-intervention policy when it comes to established history. "It cannot be imagined that in a place of so much knowledge, so many in so small compass of land should abominably leap into the Devil's lap at once." "Scholars have noted potentially telling differences between the accused and the accusers in Salem. Most of the accused lived to the south of, and were generally better off financially, than most of the accusers. In a number of cases, accusing families stood to gain property from the convictions of accused witches. Also, the accused and the accusers generally took opposite sides in a congregational schism that had split the Salem community before the outbreak of hysteria. While many of the accused witches supported former minister George Burroughs, the families that included the accusers had--for the most part--played leading roles in forcing Burroughs to leave Salem. The conclusion that many scholars draw from these patterns is that property disputes and congregational feuds played a major role in determining who lived, and who died, in 1692." Quite the backdrop for a game of hunter & hunted if you had access to a TARDIS, no?